Just been made and trying to get it a bit populated. Mods awesome and better then any mod imo, its original and would be fun to be seen on waw and mw2. It was in WaW but was scrapped due to something about the way it worked on there. Mainly due to the inexplicable overuse of invisible walls in WaW, lack of http redirect during the time it was being built and the fact that it just isn't as good as COD4, plus various other bugs. 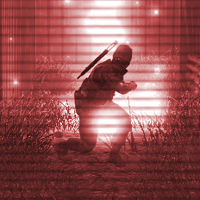 We did however have possession and baisc phasing working in WaW first, and when a body was unpossessed his head went boom, but sometimes, due to a bug he would turn japanese lol.